The ancient city of Anahilvada Patan was founded by Vanraj Chavda, the first of the Chavda dynasty. Legend has it that he laid the foundation at the place pointed out by Anahil, a shepherd friend from his younger days, and named the city after him. The city was the capital of Gujarat for 650 years, from 746-1411, after the center of power moved from Saurashtra around the same time that the separate kingdoms of the area were integrated into roughly what we today call Gujarat. It was ruled by a series of dynasties: the Chavda, Solanki, and finally Vaghela. Under the Solanki rule, 942-1244, Anahilvada shone as a center of trade, learning, and architectural achievements. 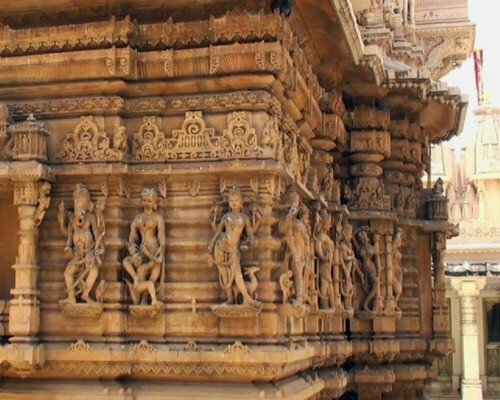 It was also a thriving center for Jainism, and the Solanki rulers commissioned a large number of Hindu and Jain temples, as well as other civic and religious constructions. During the Vaghela rule towards the end of the 13th century, Ulugh Khan, commander under Alauddin Khilji, plundered the town and destroyed it completely. 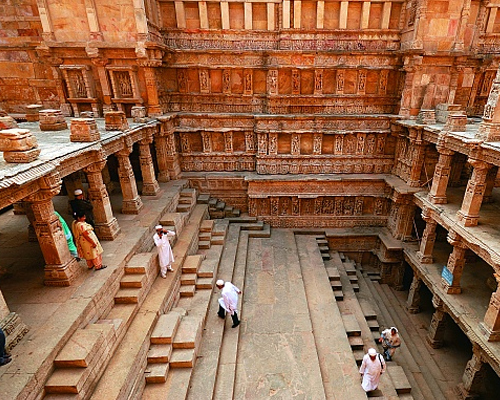 In 1411 the capital shifted to the newly founded Ahmedabad, leaving Patan as a shadow of its former glory. One of the positive effects of Muslim rule in Patan is the presence of some of the earliest the Muslim buildings in Gujarat, built before even the earliest famous constructions in Ahmedabad. 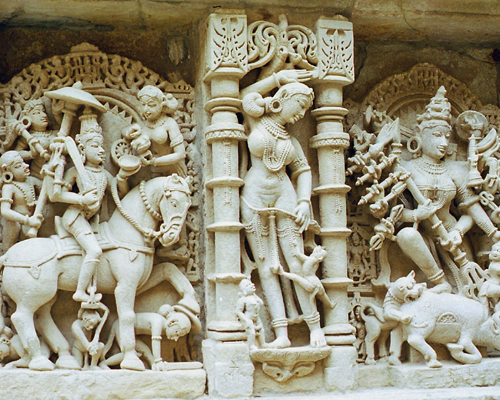 The ruins of the ancient city, with the famous Rani Ki Vav and Sahasralinga Talav, stand about 2 km northwest of the quaint town of present-day Patan, which is known for its patola saris and mashru weavers. Patan is located at 23.83°N 72.12°E. Patan Railway Station is 108 km away from Ahemdabad Railway Station. It can be reached by a bus, train or a private taxi from Ahmedabad or Chansama or Unjha. It has an average elevation of 76 meters (249 feet). The best time to visit Patan is between October and March when the weather is pleasant enough to explore the rich cultural heritage of this ancient fortified town.